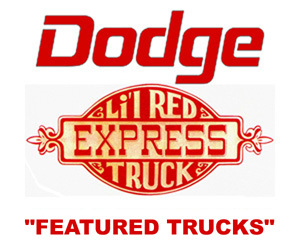 Featured Rides – This section contains our collection of featured Dodge Lil Red Express Trucks submitted over the years. Own a 1978 or 1979 Dodge Lil Red Express Trucks Use the submit link above to have it featured. 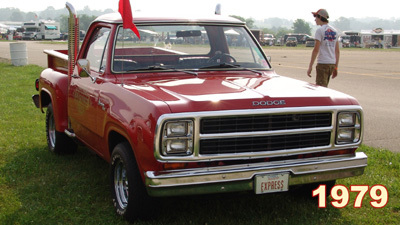 The Lil Red Express truck was sold at dodge Dealers in 1978 and 1979. All Li’l Red Trucks were built on the short-wheelbase Utiline-style half-ton D150 pickup. Powered by a high performance police specification 360 V8 and featured a four-barrel carburetor, SuperFlow heads, Police cam, dual-snorkel air intake, heavy duty valve springs, cold air induction, modified A-727 transmission with a 2500 rpm stall converter and big-rig-style dual exhausts. 1978 Dodge Lil Red Express Trucks – A collection of featured 1978 Dodge Lil Red Express Trucks submitted by visitors. 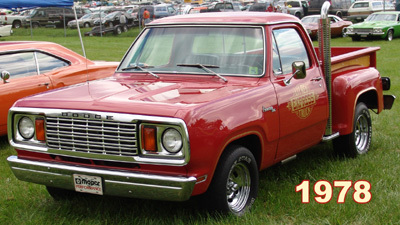 1979 Dodge Lil Red Express Trucks – A collection of featured 1978 Dodge Lil Red Express Trucks submitted by visitors.